Planning and hosting a national conference is no easy task, but for the UK community, collaboration makes it all possible. 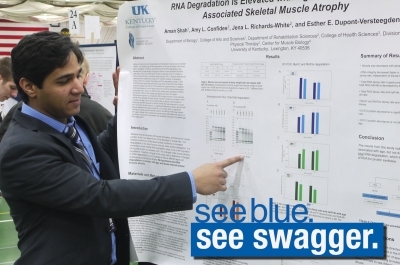 The University of Kentucky will host the 2014 National Conference on Undergraduate Research, or NCUR, next semester, which will bring nearly 4,000 additional students from across the country to the UK campus. 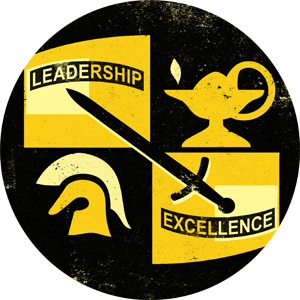 And as students, faculty and staff can attest -- it is something worth bragging about. NCUR will take place April 3-5, 2014, all throughout UK's campus. The conference will give undergraduates a unique opportunity to present their research and creative endeavors, while meeting other like-minded students from all across the country. They not only promote their individual work, but improve communication and presentation skills through poster, oral and artistic presentations. Diane Snow, director of the UK Office of Undergraduate Research and co-chair of the NCUR planning committee, says UK is the perfect place for this type of conference. "One of the things that's unique about UK is that it's a research I institution, unlike some of the previous hosts that are smaller universities," Snow said. "We'll now have an opportunity to have students at an institution where a great deal of research is going on. In fact, every faculty member that is at the university is involved in some kind of research or creative activity." The process of planning for a conference of this scale is "astounding," says Snow. But with the help and input of so many people across campus, it's happening, day by day. Since the spring of 2012, a variety of committees have been formed to address all needs for the conference, such as transportation, food and communication systems, to name just a few. Students in particular will be the driving force behind the implementation of the conference. "We have so many people involved, and I've been really, really impressed by all of the people across our campus who have been willing to drop some of the things they're working on that I know are so important to them and participate in this event. It really speaks to how important it is to the spirit and the culture of the University of Kentucky," Snow said. NCUR will make such an impact on campus that the University Senate has granted professors permission to redirect their classes for the two days the conference takes place. "This is a bit unusual; it's a new twist on NCUR," Snow said. "But our students will be permitted for the two days, April 3 and 4, to leave their classrooms, have an assignment from their professors, and be involved in all the activities that'll be part of NCUR." UK's undergraduate researchers are particularly excited to have this conference hosted at their home university. "You not only see other people's research, but you get to meet other people," said Kunal Sunthankar, a biology senior who presented at the 2013 NCUR at the University of Wisconsin-LaCrosse. "Also there are events that the universities host where you can connect with the community around the university as well. It'll be really nice that time of year in Kentucky —these students are going to love going to Keeneland." "It's a really good opportunity to learn from other people, especially talking to people that don't necessarily understand what you've done," said Rebecca Wente, an agricultural biotechnology senior who also presented at NCUR last year. "They're from different fields, there are people from arts, and history, and all kinds of crazy things. It was definitely a learning experience to be able to communicate to them what my research meant." Snow emphasized that research, especially at NCUR, is not just about the traditional sciences. "People traditionally think of research as only being in a laboratory setting, however research includes anytime a student or faculty member has a burning question that they want to try to find the answer to, and goes to original sources to do that," she said. "We have research going on in the fine arts, in history, in design, as well as other traditional areas like biochemistry, and psychology and physics." NCUR will not only be an opportunity for the student participants, but for the entire campus to become involved in orchestrating such an important event. For more information on how to become involved, contact the UK Office of Undergraduate Research. The Office of Undergraduate Research is part of the Academy of Undergraduate Excellence within the Division of Undergraduate Education at UK.